Automatic Arts – Place your order, art is served. We made it, thanks to you! We’re creating something new, out of something classic! Help us bring our most ambitious production yet to life by contributing to our Kickstarter Fundraiser! WE RAISED $3830, PASSING OUR $3500 GOAL—THANK YOU! 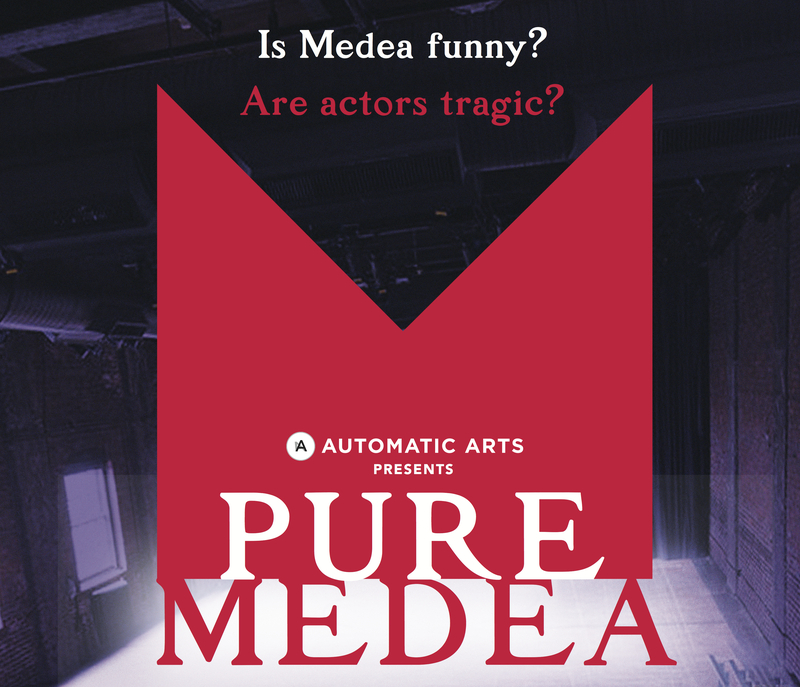 For our 10th anniversary season, Automatic Arts is thrilled to announce a major new production, PURE MEDEA, an adaptation of Euripides’ Medea, to debut May 2019 at Christ Church Neighborhood House, a 100-seat theater in the heart of Old City in Philadelphia. Having created and presented purely original work for ten years, tackling a classic play is very new to us—so of course we have added an Automatic Arts-style twist on it. 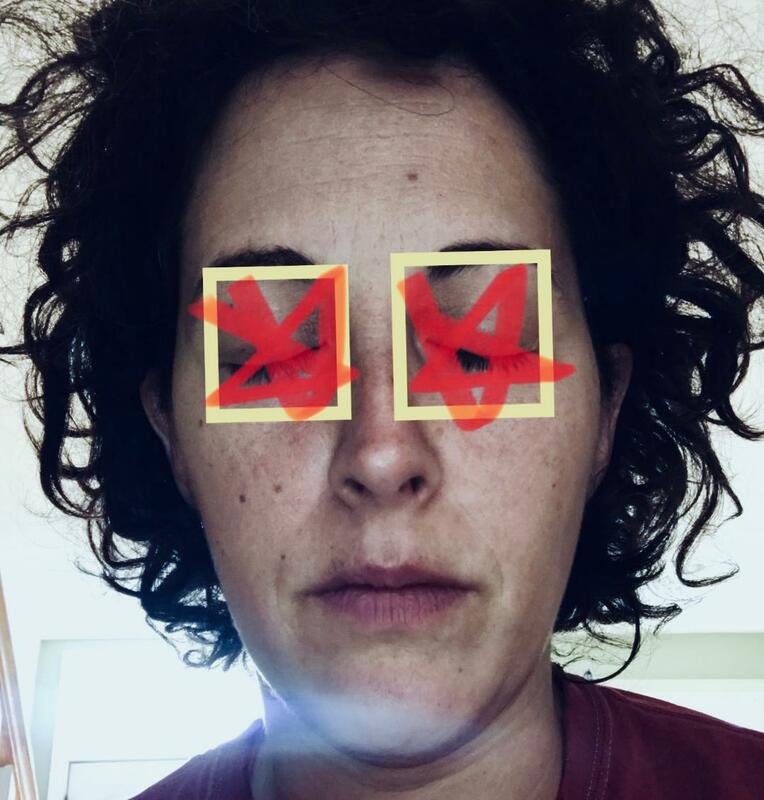 This is an adaptation of the Ancient Greek play Medea and sets the play with in a rehearsal by a modern day theater company who are mounting the Euripides play. PURE MEDEA follows both the original text and the drama of the rehearsal room as the roles of Medea begin to infiltrate the inner lives of the actors. This is an ambitious project and we need your help to bring it to life. Our goal is to raise $3,500 and we have 30 days to do so! Kickstarter is a make it or break it giving platform. To receive your gift, we must reach our goal of $3,500. Please make a gift today to ensure that we reach and even exceed our goal and fund PURE MEDEA! Conceived of and directed by Josh McIlvain, PURE MEDEA features the 2018 Medea translation by Sheila Murnaghan, plus additional rehearsal room text and rearrangements of the original by Josh McIlvain. Features the actors Sophia Barrett, Lauren Suchenski, Homer Robinson, Josh McLucas, and Hallie Martenson. Producing theater is a pricey endeavor, in which ticket sales do not cover costs, even on the most prestigious stages. 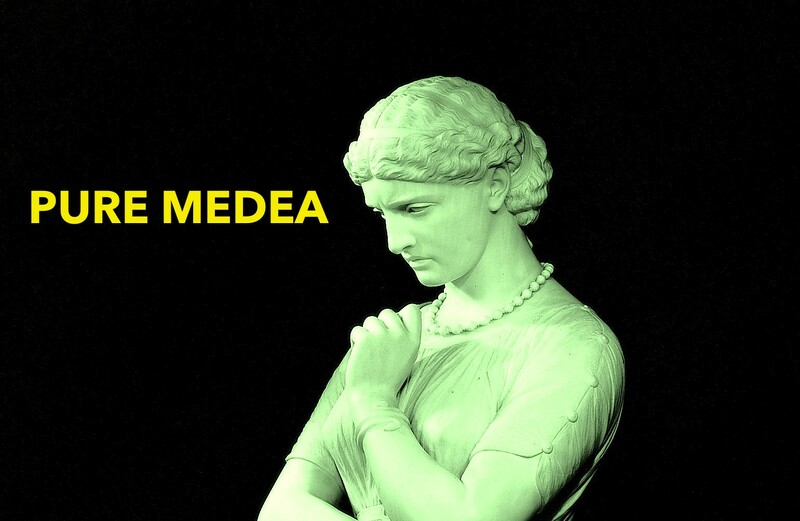 I hope you will help make PURE MEDEA a reality with a contribution to this Kickstarter campaign. 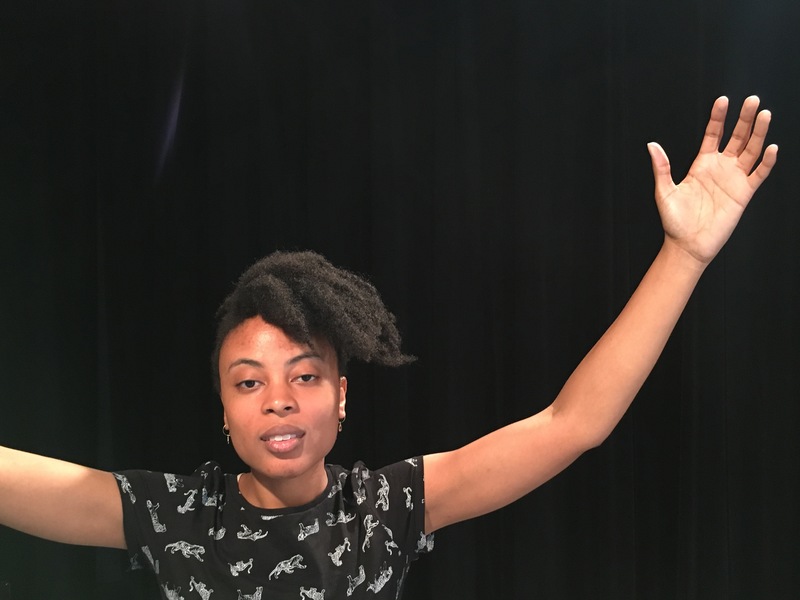 It’s 2019, members of a theater company rehearse Medea, the ancient tragedy of marital discord, palace intrigue, gender politics, and murder. Set during one of the company’s final run-throughs, PURE MEDEA follows contemporary actors as they create their own interpretation of Euripides’ play, intertwining the machinations of Medea’s revenge upon her husband with the smaller tragedies of their personal and professional lives. Miss the show? Read the review! Writer-director-performer Josh McIlvain starts the evening with a darkly funny recorded pre-show announcement. This travels into intriguing territory when he explains that “robots have rights” and that the space is haunted by vampires. The creepy vibe continues in “Away,” which McIlvain performs with a microphone in the small space, switching lights on and off as he goes. “Away” is actually a dialogue, I realized. Nik Menotiades’s “That’s My Time” likewise includes multiple characters. A nervous stand-up comedian wearing a tracksuit tells corny jokes (“Where were potatoes first fried? In Greece!”). Menotiades also plays a heckler who takes over the show, then transforms into another comic (new costume hidden beneath the tracksuit), performing funny animal impressions. His excruciating comedy of discomfort left me thinking fondly of Andy Kaufman. In “Key West or Bust,” written and directed by McIlvain, Tara Demmy plays Billy, a guy driving with friends from Troy, New York to southern Florida. Demmy wades into the audience, talking to us like we’re old friends sharing stories. Billy’s adventure is equally funny and sad, as the drive’s rigors nearly ruin Margaritaville, but Demmy’s lovable lout finds a silver lining. McIlvain also penned “A Friend,” performed by Marissa Kennedy. As “M” sits painting, she recalls a variety of friends in a soft-spoken and sincere stream-of-consciousness chat that is deceptively detailed and deep. Can men and women really be friends? There’s no easy answer. 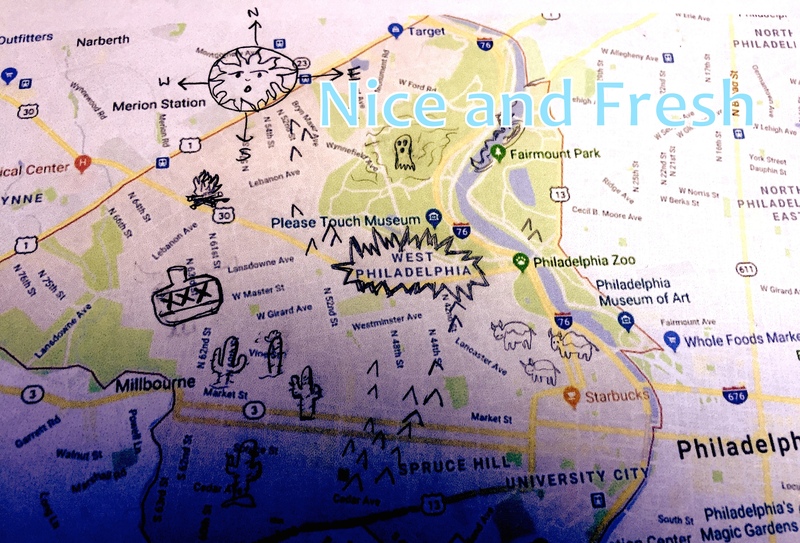 Like Automatic Arts’ “Nice and Fresh” series, People Are Strange slyly proves larger than the sum of its parts. Their DIY approach brews connections between disparate (and desperate) characters unadorned by theater’s more formal trappings. The humor often emanates from a feeling of common experience: at one time or another, we’ve been all these characters. We’re just folks in a room, perhaps sipping a beer (Thoughtfully provided! ), sharing something special. People Are Strange is us. Also including the talents of Christina Higgins, Taylor Plunket-Clemens, Travis Fischbach, and your host Sarah Knittel! New short works of theater and dance!